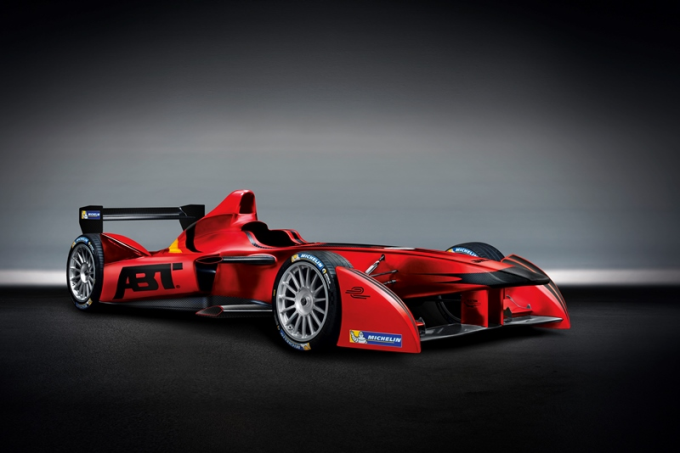 ABT Sportsline, led by Team Principal Hans-Jürgen Abt, has today (15 November) reached an agreement that will see it become the seventh team and the only German outfit to enter the new FIA Formula E Championship – competing under the banner ‘Audi Sport ABT Formula E Team’. The outfit, from Germany’s Allgäu region, will race under the name of Audi Sport ABT Formula E Team, based on the name used in its successful commitment as an Audi factory team in the popular international touring car series DTM. The agreement was signed by Hans-Jürgen Abt and Alejandro Agag, CEO of Formula E Holdings, in Kempten, Germany. Audi Sport ABT Formula E Team will now be put forward to the FIA for final approval as the seventh outfit to enter the new global electric race series. They join IndyCar outfits Andretti Autosport and Dragon Racing, Asia’s China Racing and Super Aguri and fellow European squads Drayson Racing and e.dams. With five titles to its credit in the DTM alone ABT Sportsline is one of the most successful German teams, which has achieved victories and titles in GT and endurance racing as well. The commitment in Formula racing now also marks a return to the outfit’s early days. At the beginning of the 1990s, ABT scored its initial successes in Formel ADAC and Formula Three. One of the drivers back then was the subsequent Formula One and DTM star Ralf Schumacher. “We’ve been keen to embrace new challenges on many occasions in the past. Formula E is no doubt one of the most intensive ones, which makes our excitement about it even greater,” added Hans-Jürgen Abt.